Madison, New Jersey, 1913. Click here to view the original scan. This image is from the Railfan.net Erie Lackawanna Email List Photo Archive. The last couple of posts have focused on resources available here on the blog to assist modelers with a focus on 1920s and 1930s freight car fleets. While enjoying my morning coffee, I was reviewing images on a photo archive and realized how much I’ve learned from this resource and realized it hasn’t been promoted as much as other sites. There are great photo archives available on line with thousands of images that date to the first four decades of the Twentieth Century. The Library of Congress has a Mother Lode of images, many of which have been enhanced and posted at the Shorpy site. Several cities and libraries have extensive online digital archives; the Denver Public Library, Historic Pittsburgh, Cleveland Memory Project, West Virginia History on View, and the Vancouver Public Library, to name a few. 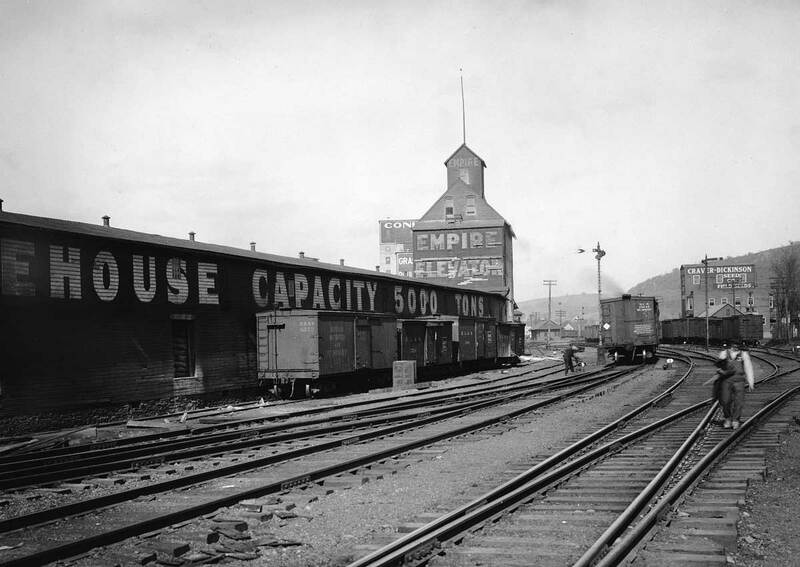 The Erie Lackawanna Railroad Historical Society has been posting several images a day from an extensive negative collection for the last few years. The images were taken in the Teens by a company photographer to document accident scenes and places along the right-of-way. 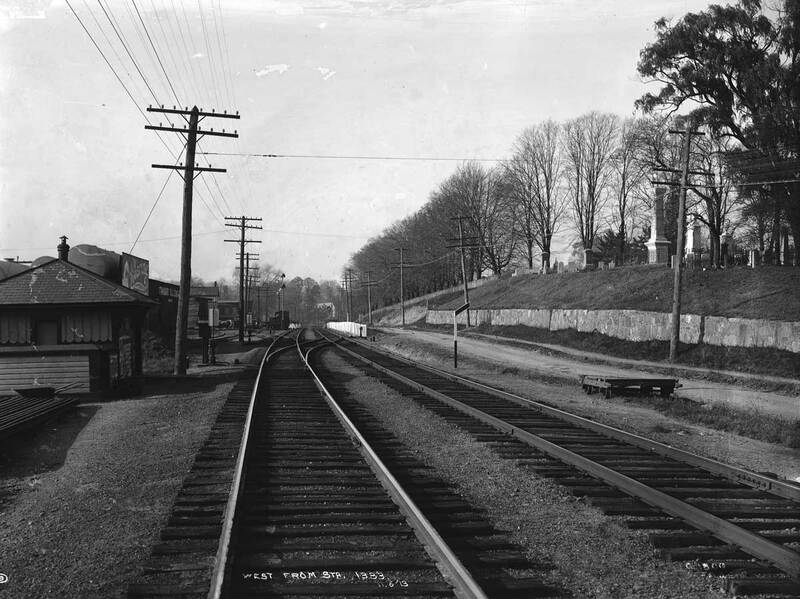 Many images capture the railroad traversing a rural scene, while others show the hum and bustle of a small town or larger city. Vintage freight cars can be seen in many of these photos, along with vintage signs, homes, commercial structures, and industries. For a modeler of the Teens through the 1940s, the images are pure gold as they are filled with details that can be implemented along our model right-of-ways and towns. The images are like a window back in time that offer a glimpse of homes and small industries before they were leveled as towns grew with population increases. It was a time when the railroads were moving goods to serve communities and transport people to places near and far. Anytime I view images like these, an old indie rock tune, “Places That Are Gone,” by Tommy Keene starts playing in my head. The details seen on many of these images inspire our hobby efforts no matter the scale, era, or gauge of our model railroads. I encourage you to visit the Erie Lackawanna Photo Archive regularly and make new discoveries among these century old photos. Hallstead, Penna., 1913. Click here to view the original scan. What is one of your favorite digital image archives? Share your comment and a link in the section below. Please follow the instructions so your comment can be posted. All comments are reviewed and approved before they appear. Don’t forget the Barriger Library! As you say above, sometimes it isn’t the actual topic of the photographs that makes the photo a great resource, but it may be what else is in the scene that makes it valuable to us as modelers. You actually mentioned the one that I use the most, which is Cleveland Memory Project. For modelers, smaller collections within the major archive can end up being the real gold mines. Unfortunately they can sometimes be hard to find. Within the CMP collection is a series on the Cleveland Union Terminal before, during, and slightly after its construction from early 1920’s to 1930. These are great links and suggestions! Thanks for your input.